High Quality, great looking anodized black thumbscrews. Shaft is 1/4" long, #6-32 thread. 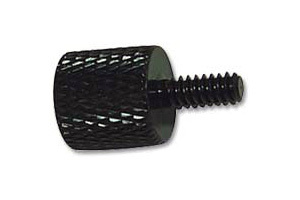 Can be used on all Mountain Mods cases for external screws as well as hard drives and various other uses. These are sold in packs of 10.